Clay entertained his readers for almost 20 years, answering any and all questions sent in to the Arizona Republic. Initially intended to answer questions specific to Arizona, the Valley 101 column quickly grew beyond this boundary as Clay started taking on all subjects. Snarky retorts to his readers, and sometimes he actually got around to answering the question at hand. Almost as often, Clay answered it correctly. This is the fourth book of his columns. We lost Clay to the great beyond in April of 2018, but his Q&A writings live on. If you want to be the "smartest" person in the room, you need to read this book! For the 99% of you that think my answers are right. A second collection of Clay Thompson's daily columns from the Arizona Republic, answering readers' questions on just about any topic. Includes sections on Weather and Science, The Human Body, Arizona, Plants and Animals, and a chapter of questions that can only be described as "uncategorical." Includes new material never before published by the entertaining, yet snarky columnist. Here it is!! Where Clay gets his answers! 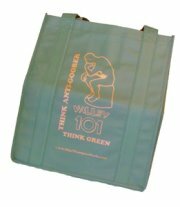 These bags made from recycled material are reusable and fun from Arizona Republic columnist, Clay Thompson. Start shopping today! It's ... It's ... well, it's a bobblehead doll and it's incredible and it's... um, kind of bobblish and it's what you might call one of your Objects d'Art maybe, and it's really ... um, different and gray and all, and it's available only at claythompsonbooks.com or wherever Clay shows up to schlep his books. Supplies - blessedly - are limited, so act now. 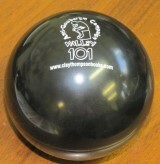 Sip your morning coffee from the official Valley 101 mug while you enjoy Clay's column. Cobalt with bronze print. 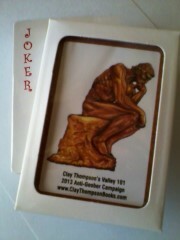 In addition to four suits, Clay's Deck O' Cards comes with four free Jokers! Write in style... Clay style with this cool Pen and Pencil Set. Navy blue with a purple and gold logo, this hat will be the envy of your house! Don't get caught reading Clay's column without it. When you sit by the pool, do you have a hard time relaxing because that beer might slip out of your hand and broken glass goes everywhere? 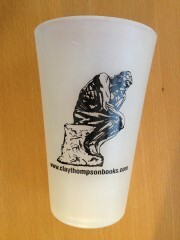 Clay found a solution with this rubber pint glass. It can go in the microwave, the dishwasher, and even floats in the pool. Holds 16 ounces of your favorite beverage. World-class runner Jim Fixx always recommended drinking water during a training run. But he died in 1984, so now Clay Thompson feels it is his duty to carry the torch for this cause. Drinking water, not the running part. The cool thing about these water bottles is that the valve holds in the water until you squeeze the bottle, so no spilling while carrying the thing upside down. 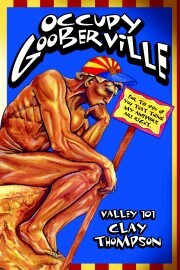 Well known cartoonist, Steve Benson created this caricature to represent columnist Clay Thompson and his observations of Valley life. The nicest fake-leather Padfolio you've ever seen. Clay's most favorite kitchen utility. Clay snuck his first three books on to this thumb drive. Enjoy 2.0 gigabytes of memory, whatever that means. Back when Clay was a reporter and went out on assignment, he had to take good notes during the interviews. This notepad lets you do the same. When Clay went on his monthly roadtrip (to the grocery store), he always made sure he wouldn't get dehydrated. It fits nicely in the cupholder of Clay's truck. This 2019 planning calendar has fun coloring pages for you people to enjoy while trying to remember where you are supposed to be. We've even included six colored pencils to help create some amazing art! Full disclosure, the colors are: red, orange, yellow, green, blue, and purple. It says it is an "Adult Coloring Book," but kids can give it a try as well.